One of my favorite finds is the BoBunny brads! Here are a few pictures to whet your appetite. I not only use my brads to anchor pattern papers or flower centres but I also treat them as decorative accents. In my layout below, I used them to adhere my layers of twine. So what interesting technique do you use with your decorative brads? First up, the winner of January's Project 12 of 2012 is...........RUBY!!!! Whooo hooooo!!! Contact Sandy to pick up your gift! I look forward to seeing your creations - link me to your project and I will make a draw on March 15th for our February Project 12 or 2012. 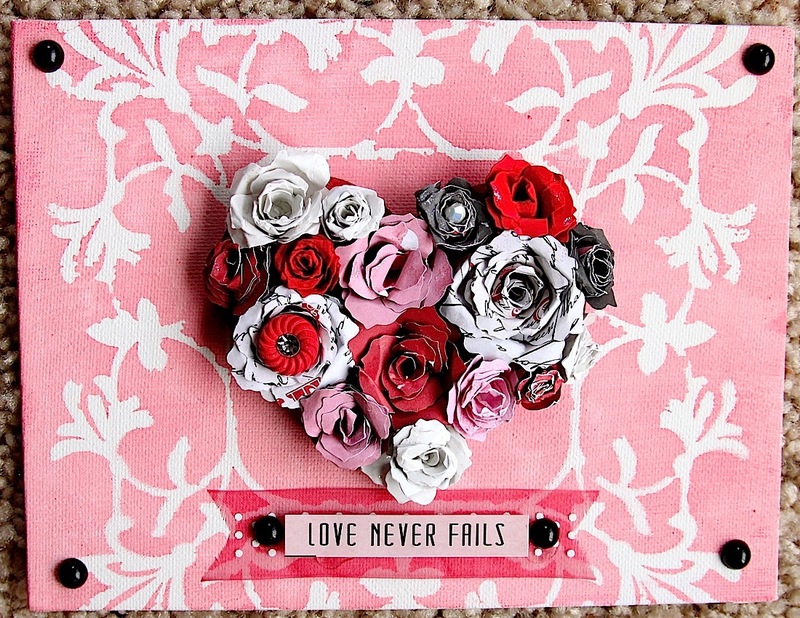 Happy Valentines Day from Scrap Shotz!!! Have a wonderful Valentines Day with your special someone and/or family! Do something you love today or take a picture of something you love! Have you heard the big big news???? If not, let me tell you! The uber cool feature of the February Scrap Shotz monthly kit is......the Sew Stamper! I know, I know...OMG, OMG, OMG!!!!!! So what does the Sew Stamper look like? Well, it is similar to its cousins, the Sew Easy and the Sew Ribbon. Here is what the Creative Team says about the Sew Stamper! Wendy said, "What an easy way to create stitches without having to sew!!!!!" "It's so easy to manipulate, you can do straight lines as well as curved!" Gail stated. 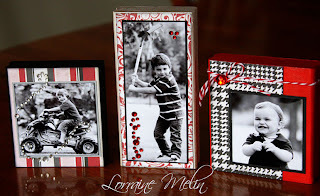 Lorraine mentioned, " I found the sew stamper fun and simple to use! The images are so clear and you have to love how easy it is to work with!" 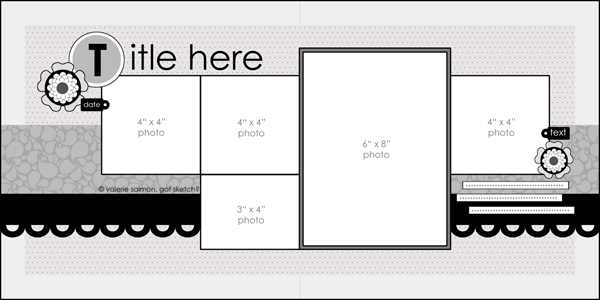 Jen remarked, "The possibilities are endless, once you start using it, the new ideas just keep rolling in. So much more than just border stitching!" Rosie said, "Quick and easy way to add that final finishing touch to your projects." 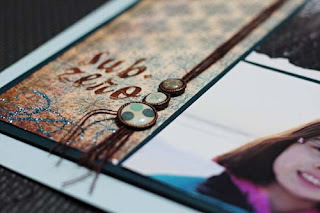 and my thoughts were, "I have heard the buzz about the Sew Stamper and tucked into it immediately when I received my kit. It did not disappoint!!!" Wow, wow, wow! The Team has really created amazing projects this month. Let me show you some of their work; the rest can be seen in the gallery. 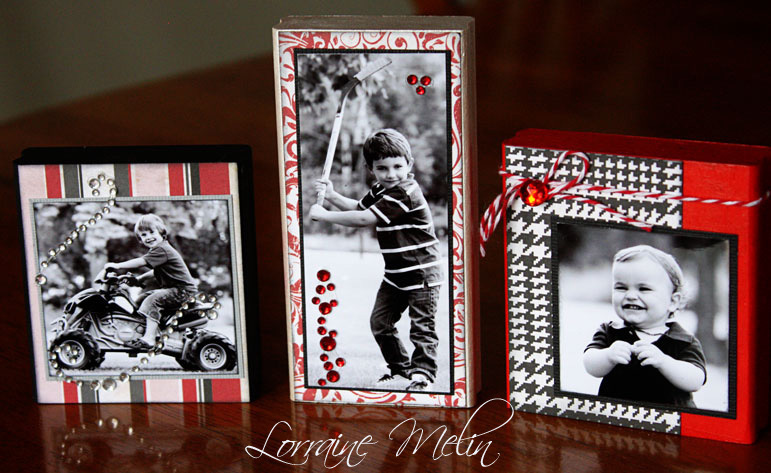 I am seriously in love with these photo blocks Lorraine created. 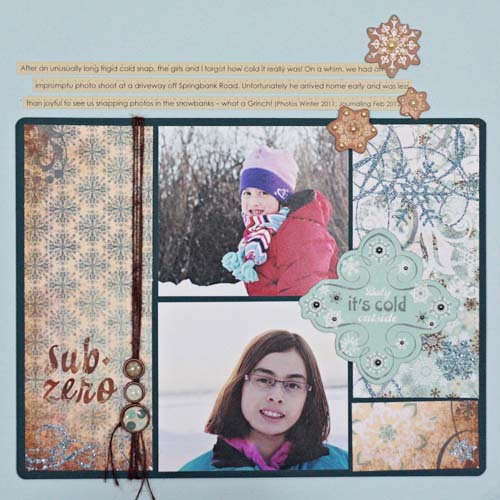 Wendy showcased the beauty of this kit - don't you just love this shaped pattern paper? 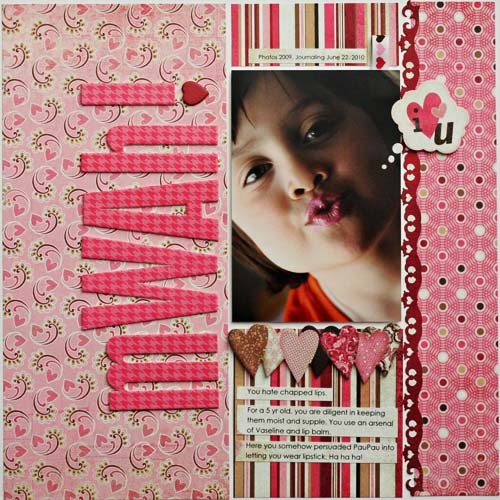 Jen highlighted the fabulous patterns and textures of the pattern papers in this gorgeous layout of her son. 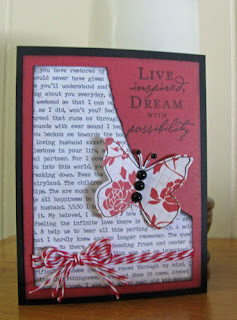 I am drooling over this card Rosie created; isn't it beautiful?? 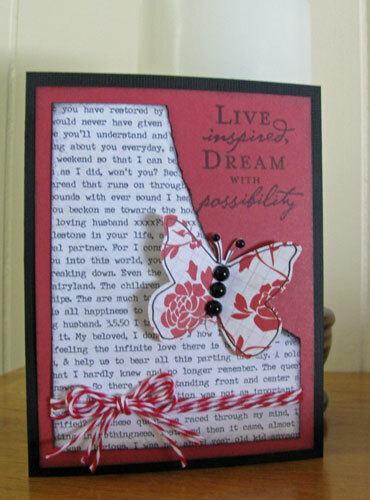 And Gail whipped up this sweet and gorgeous card. I think you will agree - what a beautiful job!